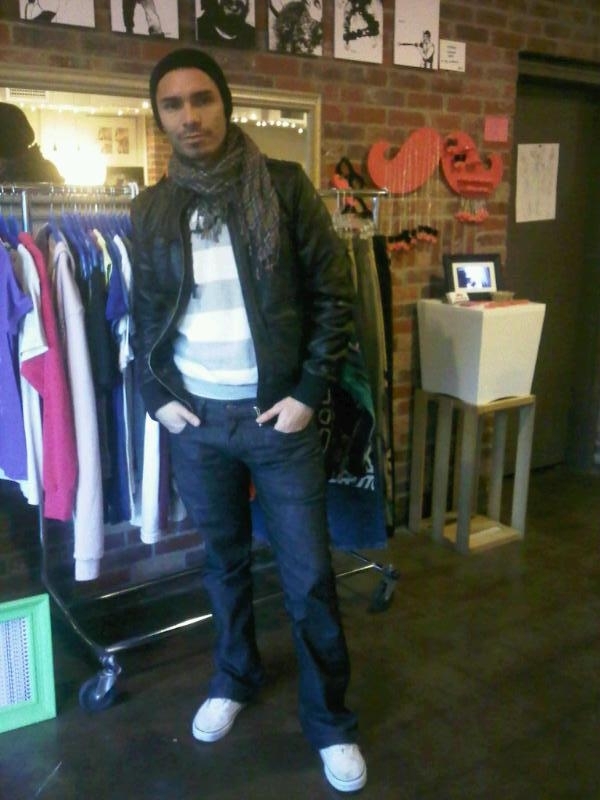 Today the Fashion Denver boutique was visited by Xavier, a fashionisto who is in the process of starting his own boutique featuring eclectic and affordable finds. We can’t wait to see what he brings to Denver! With the seasons changing, it’s obvious that it’s time to bring out the layers and Xavier demonstrates the perfect act of layering with his jacket, scarf, and hat. I love the paisley scarf, intelligent design in a masculine way, paired with stripes. He threw on some simple shoes and VOILA, Denver style! FashionDenverStyle comes from the collective hearts & minds of Fashion Denver, a local business dedicated to bridging a gap between designers, small business owners & the fashion-forward consumer. The FD showroom houses designers from over fifteen lines. This style blog was born out of a love for art, imagination, creation, self-expression &, of course, fashion. Our mission is to seek out & document Denverites who exude style, personality & individuality. We hope that this little project will bring the unique Denver fashion scene into the world’s view, and establish our Mile High City as a style mecca to rival NYC, London, or Paris. Look out for the FD team as we peruse the streets in search of our latest muse.